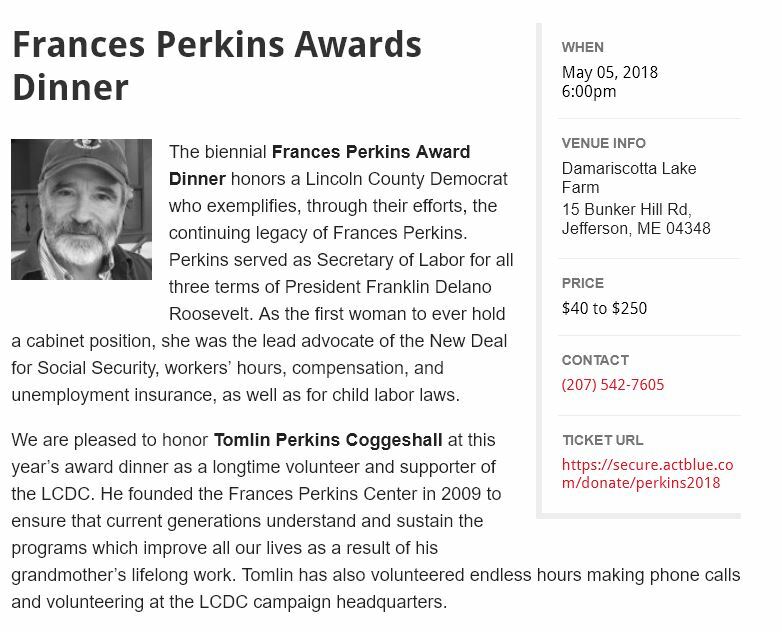 The biennial Frances Perkins Award Dinner honors a Lincoln County Democrat who exemplifies, through their efforts, the continuing legacy of Frances Perkins. Perkins served as Secretary of Labor for all three terms of President Franklin Delano Roosevelt. As the first woman to ever hold a cabinet position, she was the lead advocate of the New Deal for Social Security, workers’ hours, compensation, and unemployment insurance, as well as for child labor laws. We are pleased to honor Tomlin Perkins Coggeshall at this year’s award dinner as a longtime volunteer and supporter of the LCDC. He founded the Frances Perkins Center in 2009 to ensure that current generations understand and sustain the programs which improve all our lives as a result of his grandmother’s lifelong work. Tomlin has also volunteered endless hours making phone calls and volunteering at the LCDC campaign headquarters. Authorized by the Lincoln County Democratic Committee. 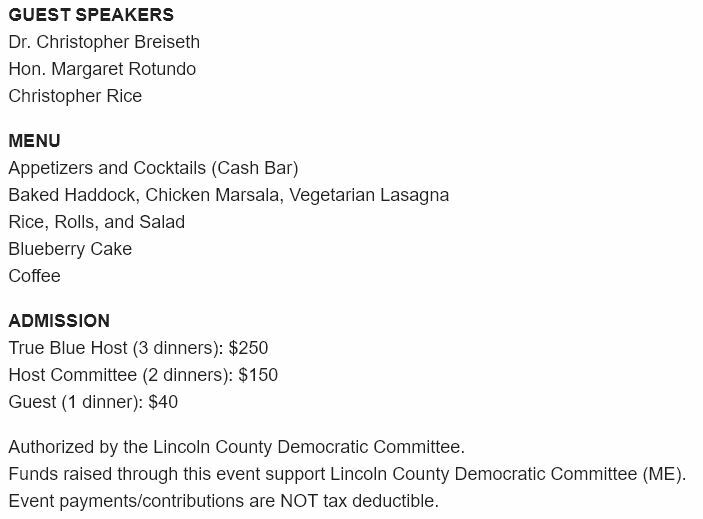 Funds raised through this event support Lincoln County Democratic Committee (ME). Event payments/contributions are NOT tax deductible.